Because all of our foster families are volunteering, and they typically have jobs, school or a family, before you can meet a dog you need to be pre-approved through an application process. Our adoptions start with an application in which we learn a little more about you in order to make sure you and the dog/s you are interested in are a great match. We also ask that you provide pictures of your yard and any areas you plan on keeping a dog, making sure you show us your fence line. Many dogs are suitable for apartments, condos and town homes, just be sure you provide pictures of your patio/balcony and the fencing/railing. You will also need to provide written proof that you have permission to have a dog if you live in a rental property. If you are a great match and would like to adopt a dog, you will be asked to make a non-refundable cash donation for that animal. Expect the donation to be between $300 and $400 or more, depending on the size and breed. 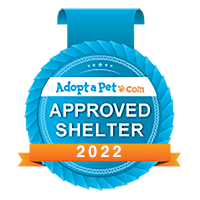 It is tax deductible and helps cover the cost of at least one vet check, spay/neuter surgery, vaccinations/other treatments and microchip, and it helps us continue to rescue these valuable souls. As we are run entirely by volunteers, and all of our volunteers work or attend school/college full-time, email is the best way to reach us. We try to respond within the same day but it may take a bit longer depending on our schedules. After you have submitted the application and pictures, we will review all your information and ask any additional questions we may have. If it all looks good, we will work on setting up an appointment with you to come meet the dog/s you are interested in. The appointment will be with the dog foster at an agreed upon time and location. DO NOT go to the PMB address in Oakley as that is simply our mail box. Rather, wait to receive the address of the foster home of the dog you are going to meet. When coming to your appointment, out of common courtesy, please be on time, or let us know if you will be late or won’t be able to make the appointment at all – we are all volunteers and give up family and personal time for you to meet the dog’s. Be sure to bring cash for the stated donation. And lastly, if you and the dog are a great fit, be prepared to bring the dog home with you that day or we won’t be able to complete the adoption. Unless a dog has a proven history with children, our policy is not to adopt to families with children under the age of five, with the rare exception provided by additional information. We do not necessarily adopt our dogs to the first potential adopter to meet them, but strive to adopt based on best fit. No matter how qualified you may be, we do not hold dogs for potential adopters who cannot come meet them in a timely manner. One dog adopted to a great home means we have room in our foster homes for another to be rescued. Go to our Online Adoption Application now.